Learn How to Make Rum Old Fashioned Cocktail. Rum, sugar, bitters, orange zest and ice is all you need. Sweet but not too sweet, and incredibly easy. 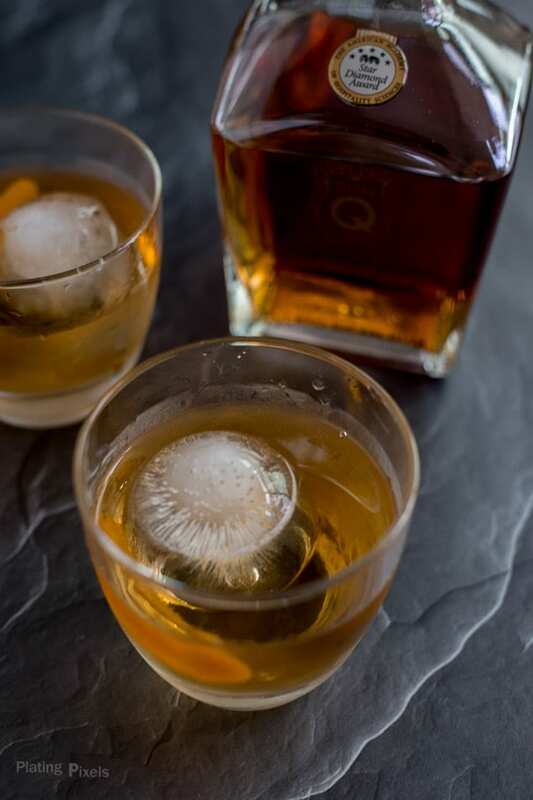 This How to Rum Old Fashioned Cocktail recipe is a sponsored post written by me on behalf of Don Q rum. All opinions are 100% mine. As I explore cocktail recipes, simple ones like this Rum Old Fashioned Cocktail are becoming a favorite. They allow you enjoy a wide range of cocktails, without requiring a lot of extras like syrups, juices or liquors. Just a few common ingredients and a garnish is all you need. Plus they let the flavors of the spirits shine through, without being too sweet. It’s a twist on a classic old fashioned, which often uses whisky or bourbon, but instead uses rum. When properly made, an old fashioned cocktail is strong without being overpowering, sweet but not too sweet, and incredibly easy. For more recipe twists, you make like this Spiced Caribbean Mule cocktail recipe I recently shared. That’s what make cocktails so fun, then endless combination of flavors and ingredients you can use. 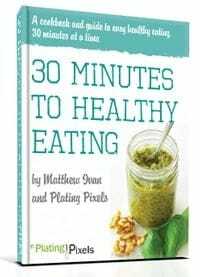 Simply make a homemade simple syrup with sugar and water. Mix the simple syrup with rum, a bit of bitters, and ice until chilled, then garnish with fresh orange peel. I used Don Q Gran Añejo to make this Rum Old Fashioned Cocktail. It’s important to use a quality alcohol in and old fashioned, as the majority of flavor in the cocktail comes from the rum. 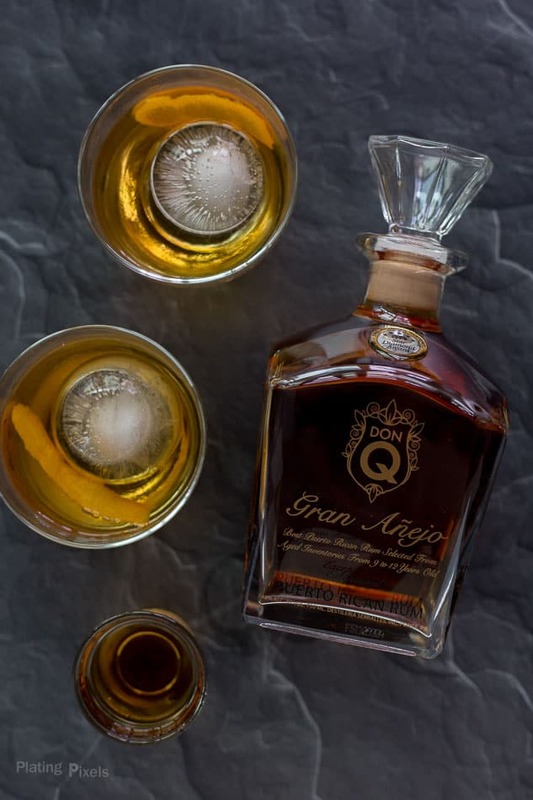 Don Q Gran Añejo, a super premium rum, is first aged in American white oak barrels for 9 to 12 years, and then in Spanish sherry casks using the Solera aging system up to 50 years. This process adds subtle hints of molasses, cigar tobacco and dark caramel, with the smoothness of vanilla, cinnamon and honey, originating from the prolonged contact with the barrel. 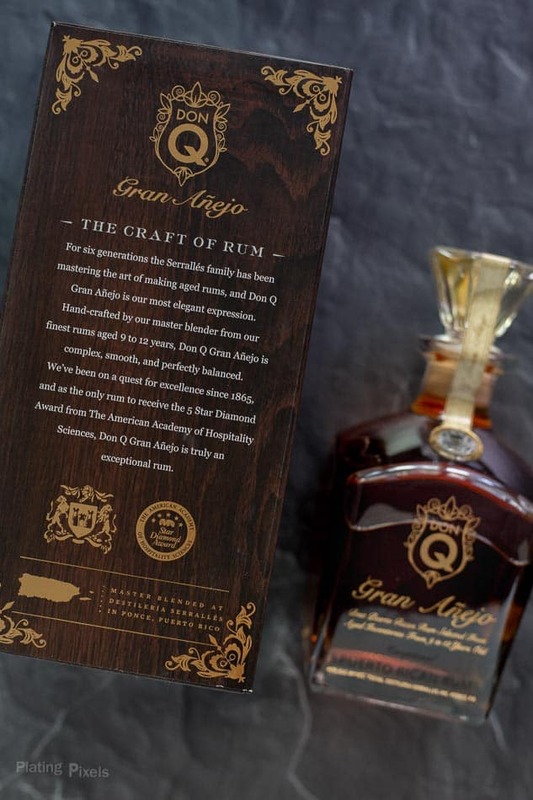 These Award-winning rums use no additives, artificial sugars or coloring. The distillery is one of the most environmentally responsible and greenest in the spirits industry. They practice energy return and useful post-production materials. Learning how to make a Rum Old Fashioned cocktail is as simple as a few ingredients, including a quality alcohol. You can make extra simple syrup and stock in your pantry, making this classy cocktail deceptively quick and simple. How to Make Rum Old Fashioned Cocktail with rum, sugar, bitters, orange zest and ice. 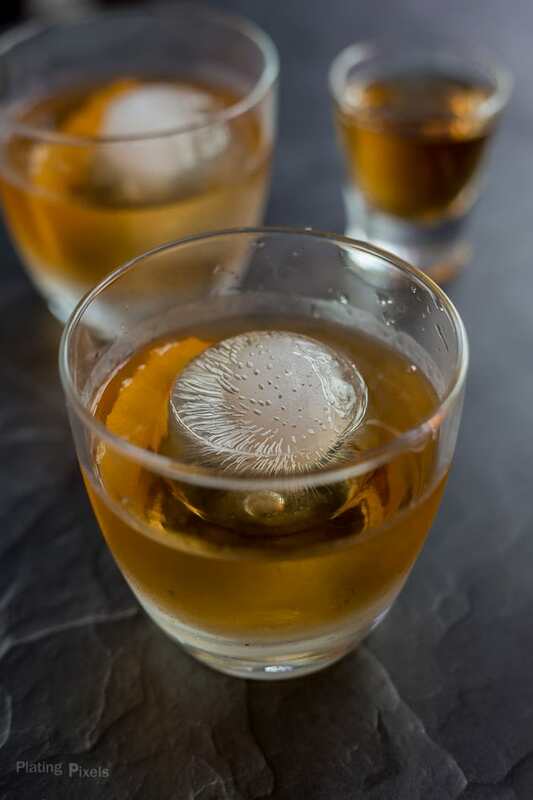 In an Old Fashioned or small glass, stir together sugar, rum and bitters until dissolved. Add ice cube. Stir rapidly with bar spoon until well chilled. Rub orange zest along glass rim and place in cocktail as garnish.